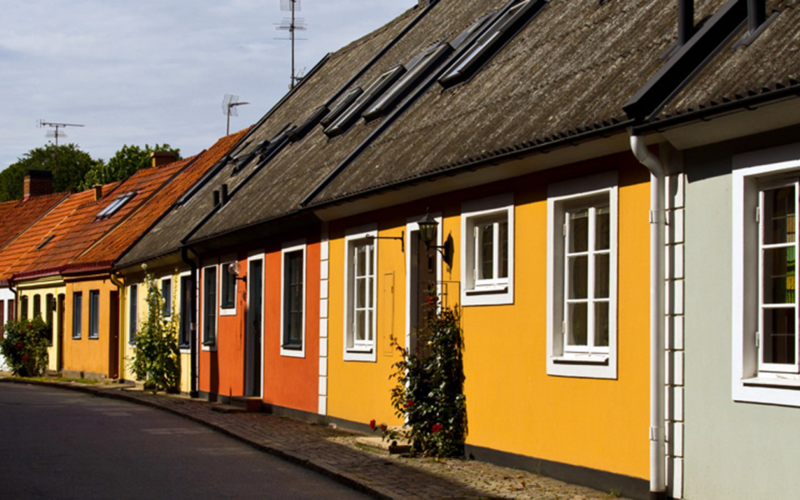 Follow the south coast of Skåne coastline, from the medieval town of Ystad, over hills and woodlands defined by sand, and over the Nybroån River, with its ever-changing sandy banks. You can swim or fish in the Baltic or explore the shores of the ancient Litorina Sea further inland. 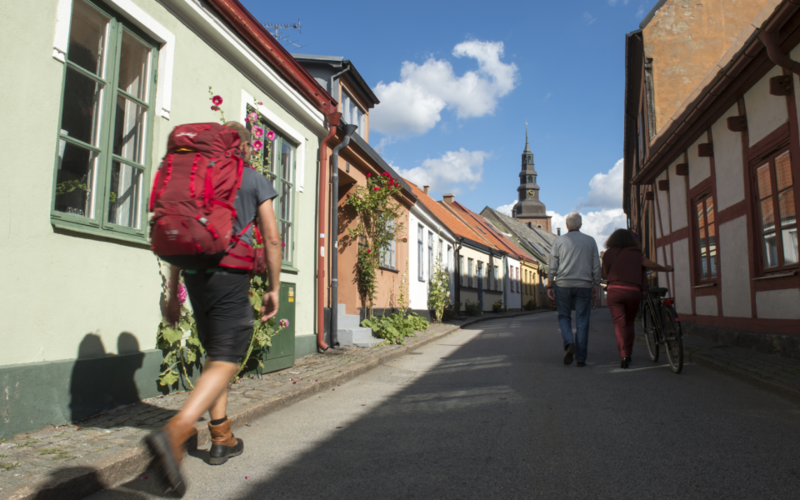 This first section of the Österlenleden Trail is an easy walk through the town of Ystad, and then on paths and cycle tracks along the southern coastline where Skåne meets the Baltic Sea. The hills are composed of sand, and the woodlands grow on sandy soil, including the Sandskogen forest, the northern part of which is a nature reserve. Further inland there are some ten sandbanks which run parallel with the coast. These were created 4000-7000 years ago when this area was the shore of the ancient Littorina Sea, a geological brackish water stage of the Baltic Sea. The Littorina Sea is named for the common periwinkle – Littorina littorea – a mollusc that thrived here, and which can be used to calculate the salinity of the water then. Next to the trail is an old river bed with strange plants such as adder's tongue fern, coralroot orchid and common twayblade. The Nybroån River runs a kilometre or so to the east and is forever changing its course as its flowing water meets no resistance from the loose sand. The town of Ystad was founded sometime around the year 1200. With its cobblestones and medieval buildings lining an irregular network of streets, it is one of the most well-preserved medieval towns in Sweden. Ystad’s Santa Maria Church, one of Skåne’s oldest brick churches, and Gråbrödraklostret Monastery, founded by Franciscan monks and one of Sweden’s best preserved monasteries, also date to the 1200s. More recently, the town has achieved international recognition as the setting for the well-known detective series by Swedish author Henning Mankell, about fictional Police Inspector Kurt Wallander. Follow the beach to the Sandskogen forest, just like the residents of Ystad have done for hundreds of years. There are lots of buildings dating from the early days of seaside holidays – historical seaside hotels, cafés and summer houses in different styles. Sandskogen itself was an open sandy area 200 years ago, and the constantly shifting sand was a big problem for residents. Different planting projects finally resulted in the establishment of woodland. The pine woodland was planted at the beginning of the 1900s. At Ystad, you can connect with SL2, the Nord-sydleden Trail, and at the other end of this stretch of trail is the little village of Nybrostrand, where you can stock up on supplies, enjoy recreational activities such as golf, horse-back riding, tennis, or boule. Or simply enjoy the cafés, the sandy beach and cooling off in the Baltic.